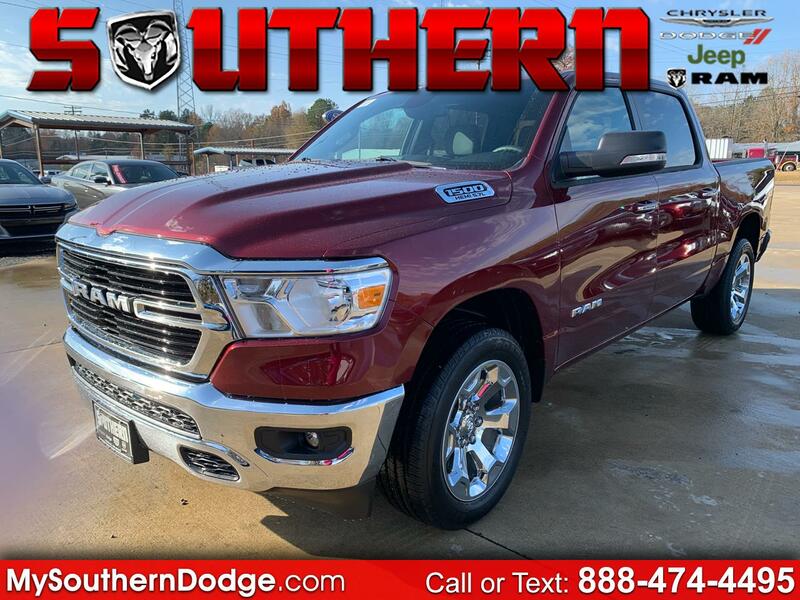 This 2019 Ram 1500 Big Horn/Lone Star 4x4 Crew Cab 5'7 Box is proudly offered by Southern Chrysler Dodge Jeep Ram Today's luxury vehicle is not just about opulence. It's about a perfect balance of performance, comfort and attention to detail. This 2019 Ram 1500 is the perfect example of the modern luxury. Taking the road less traveled has never been more fun than with this 4WD. With improved performance, mileage and acceleration, this 2019 4WD Ram 1500 Big Horn/Lone Star 4x4 Crew Cab 5'7 Box is king of the off-road. Based on the superb condition of this vehicle, along with the options and color, this Ram 1500 Big Horn/Lone Star 4x4 Crew Cab 5'7 Box is sure to sell fast. Just what you've been looking for. With quality in mind, this vehicle is the perfect addition to take home.